It’s been a few weeks ago now (ummm…where did October go? 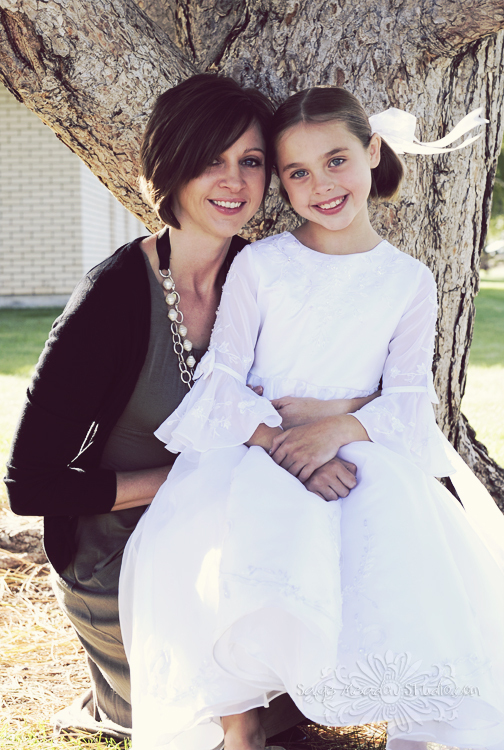 ), but I wanted to share a couple images of Miss J’s baptism day. I can’t believe she’s this old…or this beautiful. I so love being her mom. So special! She is very beautiful! She is an angel in everyway. The two of you look amazing. beautiful 8 year old, beautiful mom. Congrats Aud. That is such a special day and how beautiful she is! !